Reveal flawless skin with our bestselling leave-on exfoliant. This gentle, lightweight fluid quickly exfoliates dead skin cells both on the surface and deep inside pores, to reveal smoother, clearer, more radiant-looking skin. BHA (salicylic acid) has anti-inflammatory properties and helps to reduce blackheads, blemishes and redness. If you sufer from acne or clogged pores and you can only buy one product - buy this. 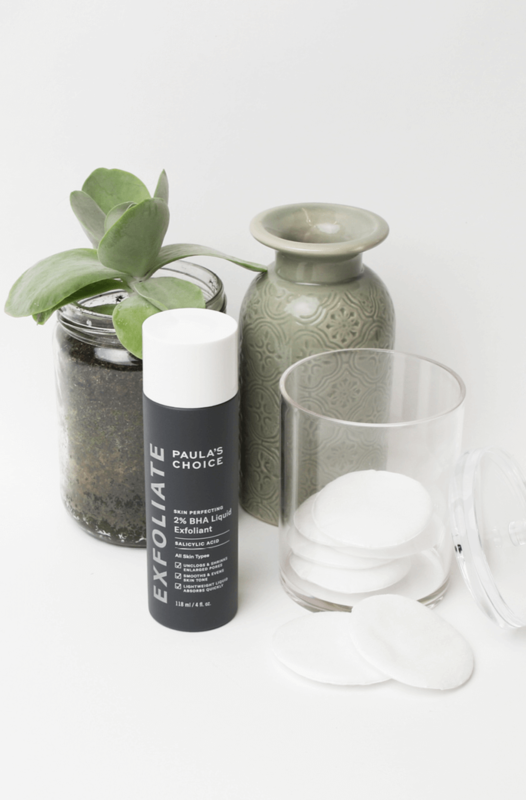 The exfoliant will make such an impact for your skin, that you will never want to run out of it. Used daily, it will dissolve dry flaked skin and clear pores, so you will see less and less new spots or acne. It also helps with reducing discolorations from previous spots and leaves your skin feeling soft and smooth. I use it everyday in the morning and follow with a mix of Calming Serum, Peptide Booster and Vitamin C booster. Once this has absorbed into skin, I apply Resist Clear Skin Moisturizer and foundation. I recommend it to all my friends. I loved this lotion. I got the idea to introduce BHA into my skincare when i got such amazing results with Chemical Facial Peels at my esthetician's. After these treatments my skin seemed to glow, and no more acne! When i realised it wasn't feasible economically to continue these peels i bought this lotion! I realized that all they were truly applying on my skin was a mix of super powerful professional grade AHA & BHA's. I started using this lotion daily, sometimes twice a day. It was perfect. However, since then i ordered the BHA gel and realized i like its application and feel a lot better. Its all a matter of preference. IT is true the lotion does leave a bit of a film behind which is weird upon application. One last thing, do not forget to moisturize right after. It's imperative for BHA's to work. Otherwise you will dry out and flake your skin. I bought this product since I'm dealing with clogged pores and breakouts. Initially using this product, my skin started drying out and chipping off. This got better after a while, but the product has had no effect what so ever on my problems. I have used the whole bottle, which lasted for about 2 months. Worst of all, immediately after stopping using it I have had a massive breakout on my cheeks and chin, which has never happened before. I am terribly dissatisfied and worried using this product has ruined my skin. Customer Care: Thank you for your review. We are sorry to hear of your experience and discomfort. Although this is not a common response, we do understand that each customer is uniquely different in how they will respond to certain products or ingredients. Should you need further assistance, don’t hesitate to contact our customer care team. The travel size container: absolutely useless. After the first flight it was half empty and I had the solution over all my cosmetics. It's not leakproof and is not suitable for something that liquid. I will use the sample size packets in the future for travelling. Otherwise I really like the exfoliant. I have battled with acne for most of my life and tried all - cosmetic-grade products, OTC and prescription meds. They helped for a little while, but then my acne came back. I picked a few travel-sized PC products (this exfoliator, Clear Cleanser and antioxidant serum) on a whim and after a a few uses, I saw my skin changing. I use the exfoliator 2x daily (after using Clear Cleanser) and follow with a mix of Resist Ultra-Light Anti-Oxidant Serum mixed with Peptide Booster, let it absorb while I prepare my morning cup of coffee and then follow with Resist Anti-Age Clear Moisturizer. At night, I use 1% Retinol treatment (my skin can tolerate it). I like how this exfoliator just vanishes dead skin cells and leaves my skin super smooth. It helps with keeping my pores open and clear and prevents new acne to form. I have noticed that my pores seem smaller, too. It also helps slowly remove discoloration (remembrance of my previous cystic acne), but this will be a longer process. I prefer this 2% liquid packaging vs the one from Clear range - this one has a screw-off cap, while the Clear one has a flip cap. Minor detail, but I can get my product better on the cotton pad. Also, both packagings tend to leak, so I bought sample sachets for when I travel. They don’t leak and take up less space in carry-on luggage. Bottom line - this is a must-have product for me and I made sure to have a safety extra piece in my skincare pantry all the time. 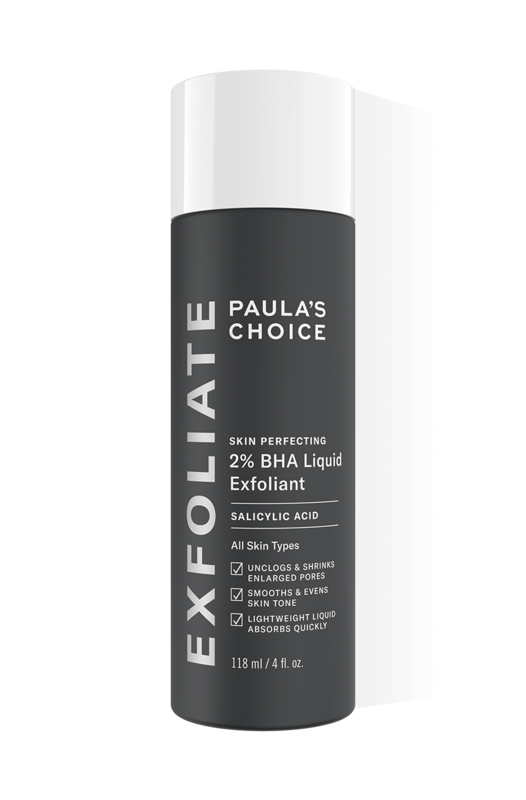 I'd never used AHAs or BHA exfoliants before so I started with the 2% BHA Liquid first. I'm really pleased with how smooth my skin feels since I started using this. I also haven't had a breakout since! I first tried the sample version, and I liked it, so I bought trial size because I don't use it that often and I didn't want it to go to waste. About 2 weeks ago, I had a breakout, and used it for a week and my skin became nice and smooth after the 3rd use. I honestly believe that PC 2% BHA Liquid is the best on the market. I don't like at all mechanical exfoliants and the chemical ones were either too harsh either ineffective. I have oily skin but also some dry patches and I appreciate a lot that PC offers products without irritants and especially without alcohol. The only down side is the sticky, greasy texture but now it's ok. I use a lot less, only 2 to 3 drops, with my hands for my entire face and neck - and it still work wonderfully and no more sticky face. PC 2% BHA Liquid along with Clear Pore Normalizing Cleanser, Skin Balancing Antioxidant Serum with retinol, Resist Anti-Aging Youth extending Fluid SPF 50 and Resist Anti-Aging Skin Barrier Repair Moisturizer with retinol bring back my skin to life. This regimen has improved my skin texture and glow so much that I can wear a lot less make up. I just hope it will still work for me on the long term.